From the Dashboard, click Settings, go to the Notifications tab, and you can enable or disable email notifications of new comments. Regardless of this setting, you can always go to your Dashboard and see new comments and other notifications in the Activity feed. When you click that, you’ll be able to select exactly which information should appear on your Dashboard. 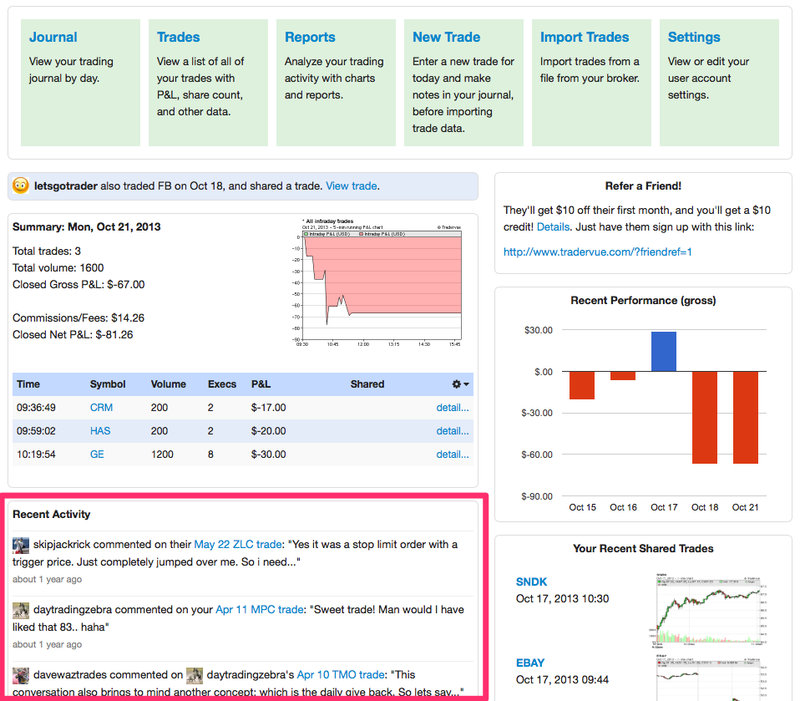 If you have a trading mentor (or are one yourself), or if you’re sharing your trades, you probably get a number of comments every day on your trades or journal entries. 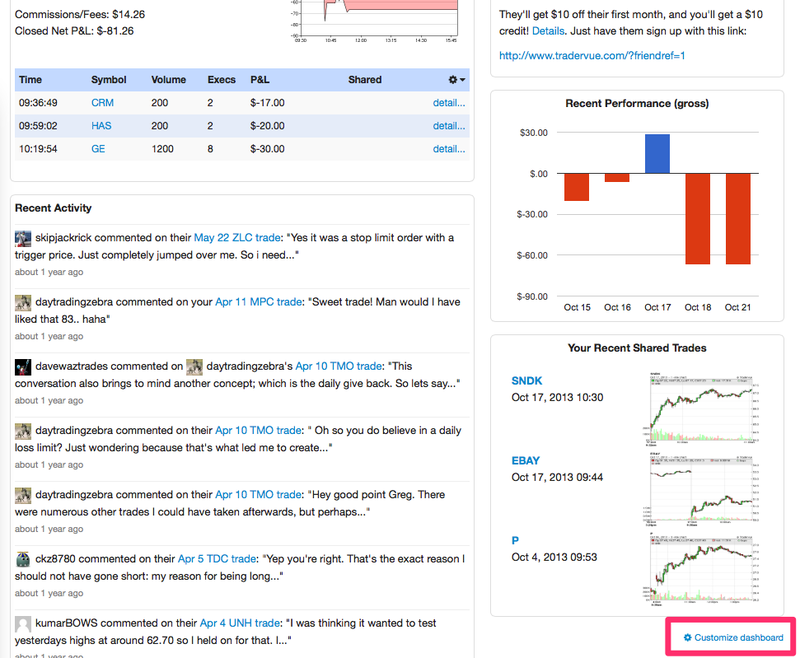 You receive email notifications of these comments, but aside from the emails, there hasn’t been easy way to see the recent activity related to your trades, entries, and comments. You’ll no longer need to sift through your emails to see recent comments and other notifications – they will all be there in one place. The Activity feed is available immediately for all users – just check your dashboard!